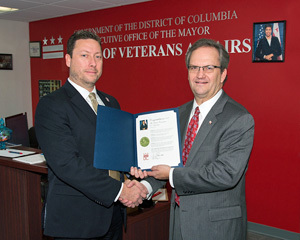 The D.C. Mayor's Office of Veterans Affairs (MOVA) presented a Proclamation on Nov. 7 signed by Mayor Muriel Bowser, to recognize The Veterans Consortium for providing 25 years of legal assistance free of charge to veterans and their families, caregivers, and survivors; to thank TVC for processing 1,600 requests for legal services and information for veterans who are citizens of the District of Columbia; to commend TVC for setting up five pop up legal clinics and the Veterans Pro Bono Legal Clinic, which operates at the D.C. Medical Center; to congratulate TVC for operating the Pro Bono Program for a quarter-century; and to mark TVC's Silver Anniversary. "We deeply value this vital mission partnership, and we appreciate TVC's support in our shared service to veterans and their loved ones in the District of Columbia," said MOVA Director Ely Ross, as he presented the Proclamation on behalf of Mayor Bowser. "The Veterans Consortium is our trusted mission partner to help with our veterans' appeals in federal courts, as well as assisting our military service men and women seeking discharge upgrades." Celebrated on the Tuesday following Thanksgiving, #GivingTuesday is a global day of giving and kicks off the charitable season, when many focus on their holiday and end-of-year giving. We are deeply grateful for to our donors and supporters that help advance The Veterans Consortium's mission to assist veterans and their families, caregivers, and survivors. Please consider "Filling the TVC Ammo Can" on #GivingTuesday with an end-of-year donation. 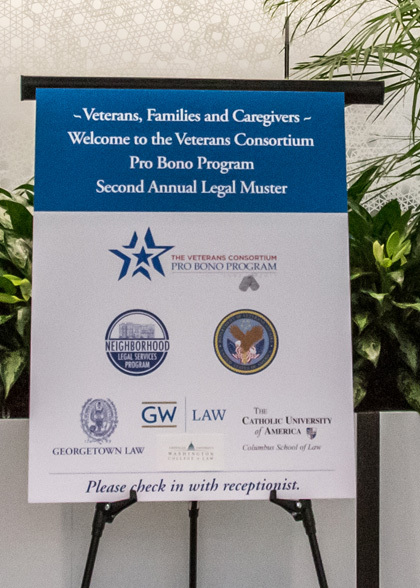 More than 60 veterans received legal help at three pop-up legal clinics across our nation's capital in honor of the 2017 National Pro Bono Week. The Veterans Consortium coordinated this simultaneous effort on October 27, as part of the Second Annual TVC Legal Muster[SM]. During the legal clinics, volunteer attorneys and law students met with veterans, conducted triage based on their stated needs, offered legal information resources, and provided referrals. Sixteen members of our National Volunteer Corps and nine law students assisted by providing quality pro bono legal services to veterans in the D.C. area, and these volunteers came from: Duane Morris, Gibson Dunn, Arnold & Porter Kaye Scholer, VA Office of the General Counsel, Neighborhood Legal Services Program-DC, The National Alliance to End Homelessness, Georgetown Law, GW Law, American University Law School, and Catholic University Law School. 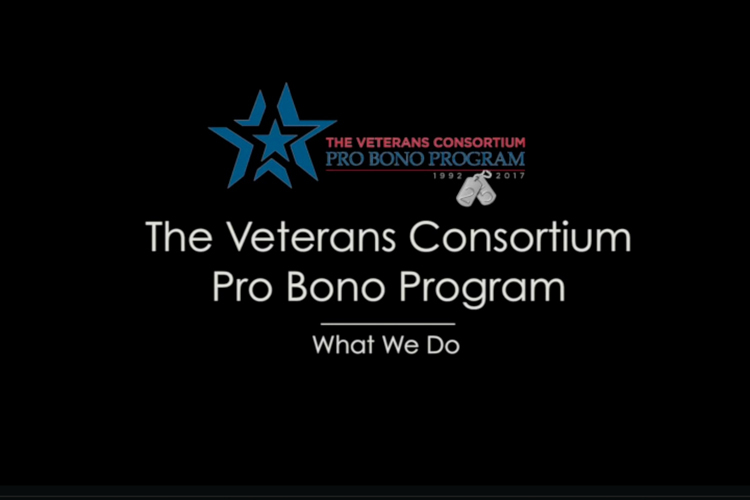 TVC's Veterans Pro Bono Legal Clinics were held across the city at the VA Medical Center in Northwest, Neighborhood Legal Services Program, in Northeast and at U.S.VETS in Southeast. Mission Barbeque generously donated lunch for our volunteers at all three clinics. 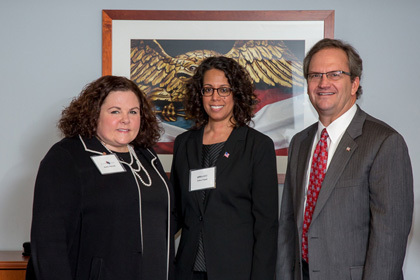 As the Manager of Client and Stakeholder Outreach at The Veterans Consortium, Claudia Daley helps develop and strengthen opportunities for veteran clients, attorneys with TVC's National Volunteer Corps and mission partners. "We want to engage them to use us as a resource," said Daley, who joined the outreach team almost a year ago. Daley's initial mission task was to create opportunities to celebrate the accomplishments of the federal Pro Bono Program and to thank the associated Pioneers, Founders, Stakeholders, members of the National Volunteer Corps and Mission Partners, on its 25-year milestone. "I'm very proud of the work that we did this year, in particular the Chairman's Luncheon in April and the Silver Anniversary Dinner and Pro Bono Awards Banquet in October." The daughter of foreign service officers, Daley traveled extensively in her youth. She interrupted college to join the United States Marine Corps, serving nine years active duty, and later finishing school. 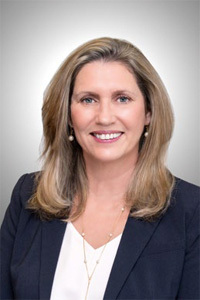 She worked in defense intelligence, the office of three Commandants of the Marine Corps and in the office of legislative affairs for the Marine Corps. She later worked for the Senate Select Committee on Intelligence, followed by The Webster Group, where many of her clients were nonprofit organizations that help veterans and the military. Then she found TVC. "I was blown away by the mission of this organization," said Daley. "This is exactly where I want to be to give back." Claudia lives in Falls Church, Virginia, with her husband and three children. In her free time, she enjoys her season tickets to Arena Stage, gardening, her book club and long walks with her dog, Buddy. To read more about Claudia, click here. Crawford was commissioned as a Distinguished Military Graduate at the University of Alabama. 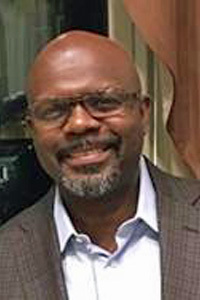 Before serving in the Army, he worked as the Assistant to the President of Beloit College, in Beloit, Wisconsin, and as a community organizer in an elderly community in rural Alabama. While on Active Duty, he served as an Military Intelligence officer for 20 years. 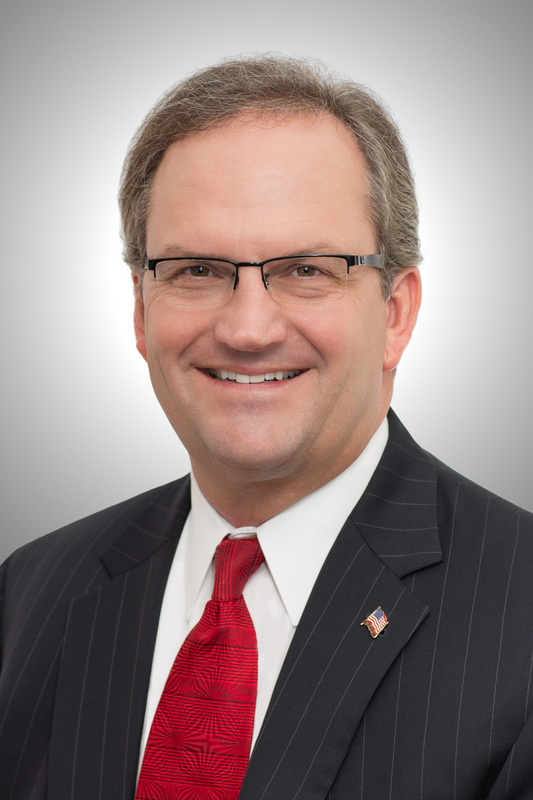 His military awards include the Bronze Star and Legion of Merit Medals for meritorious service in Iraq, Japan, the United Kingdom and throughout the United States. We salute Ken Crawford's dedication to veterans and commitment to pro bono service, and we are privileged to select him as our November Volunteer Inspiring Pro Bono (VIP). It is quite fitting that the month we traditionally pause to give thanks is also known as National Veterans and Military Family Month. As we prepare to gather with our families and friends next week, we are especially mindful of those we serve. To all veterans, we offer our heartfelt appreciation. We also owe a great debt of gratitude to our National Volunteer Corps for the vigorous work they do on behalf of our veterans and their families, caregivers, and survivors. Without your commitment to service we would be unable to provide the extensive legal services needed to bring about positive results for these military men and women and their loved ones. We are so thankful for our dynamic mission partners, donors, and stakeholders who have joined us in our quest to provide equal access to justice for our service men and women. We wish you all a happy and safe Thanksgiving. 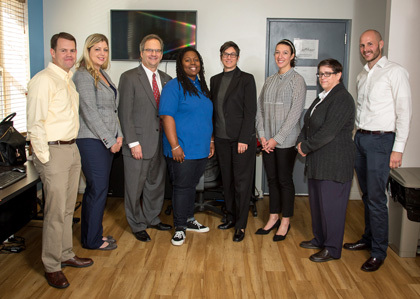 The D.C. National Guard Armory in Washington, D.C. was the gathering site on November 7, for The Veterans Consortium and the Mayor's Office of Veterans Affairs (MOVA) Discharge Upgrade Clinic. Attorneys from Blank Rome, VMware and paralegals from the Department of Veteran Affairs, law students from Georgetown Law School, GW Law School, American University College of Law, and Catholic University Columbus School of Law worked tirelessly from 10 a.m. to 7 p.m. to help make a difference in the lives of more than 40 veterans. 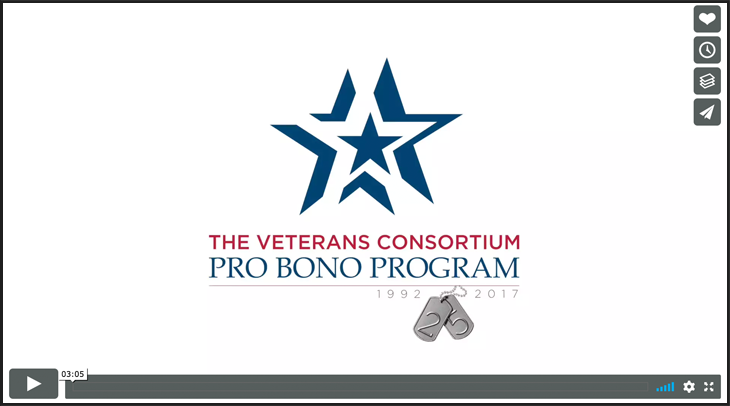 The Veterans Consortium Discharge Upgrade Program provides national pro bono legal representation to veterans with Other Than Honorable discharges for conduct related to post-traumatic stress disorder (PTSD) and traumatic brain injuries (TBI). PTSD and TBI resulting from military service should not preclude veterans from receiving the care, benefits, and respect they've earned and deserve. Special thanks to Blank Rome, and VMware for sponsoring breakfast, lunch and dinner for the many volunteers that helped to make this day a huge success.